The Darmstadt-based IARIGAI is the International Association of Research Organizations for the Information, Media and Graphic Arts Industries which provides a forum for the exchange of scientific and technical information in the research areas that support the scientific and industrial development, specialization and international cooperation. The IARIGAI Association is directed by the Chairman and the Board of Directors consisting of six members. Dr. Erzsébet Novotny, Key Account Manager of ANY Security Printing Company PLC, has been elected to be a member of the Board of Directors. The current full membership of the Association is made up of 40 institutions of 19 states, and they have honorary membership too. 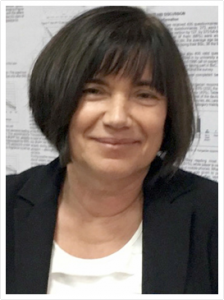 Erzsébet has been participating in the Association’s activity since 2005; first she took part as a lecturer in the scientific conference of the 40-year-old IARIGAI, and then, in the following years, she regularly made conference presentations or participated as co-author in them. Since 2010 she has begun to deal with evaluation of the scientific works received for the conference, and in relation to the conference organized in Hungary in 2011, she, as a member of the Event Program Committee, was involved both in selecting the scientific articles suitable for presentations and in preparing a high-level and diversified conference program. She has also been being the member of the Scientific Advisory Committee of JPMTR (Journal of Print and Media Technology Research) that has been issued by the Association and published quarterly since 2012. Erzsébet thinks it is important that the Association’s publications and conferences continue to represent the highest possible scientific standard, and she would like to cooperate in it in the same way as before. She wants to put emphasis both on researching the potentials for environmentally friendly, cost-effective and high-quality product manufacturing and on sharing the results relevant to the foregoing. We warmly congratulate our colleague, Erzsébet, on her internationally prestigious recognition, and we wish her every success and good health in her work in the future too.